This LBD is both stretchy and stylish! 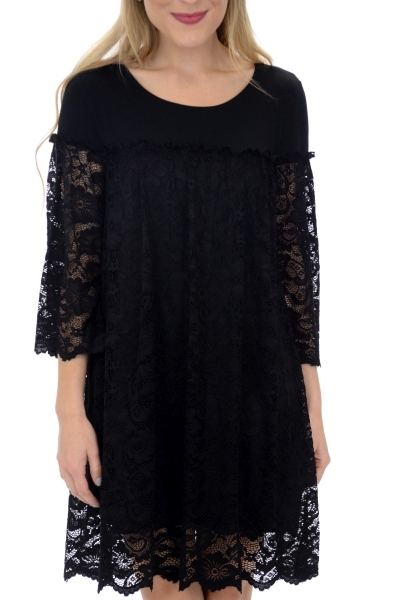 Lacy details dress it up a bit, while the A-line fit and stretchy fabric keep you comfortable. Dress is lined. Fit is true to size, if not a bit roomy. Stacy is wearing size small.